Before you can use the Force.com Migration Tool, Java and Ant must be installed and configured correctly. 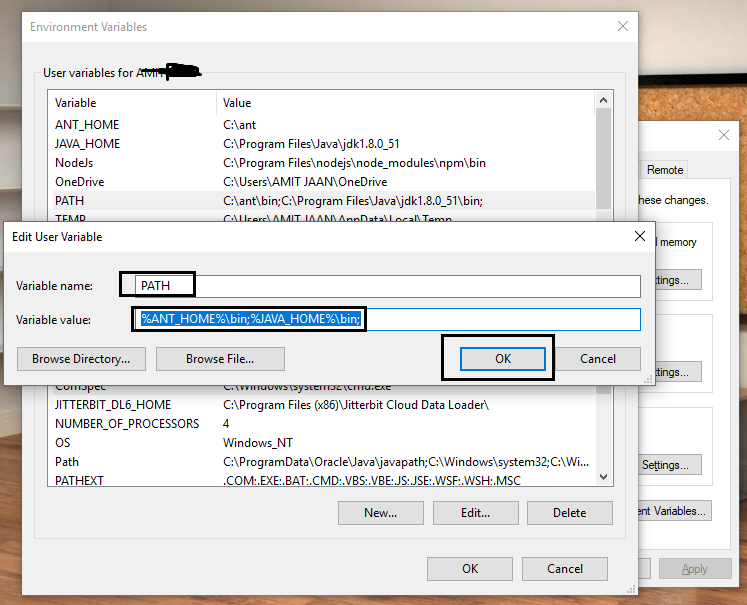 If you already have Java and Ant on your computer, you don’t need to install them, so first verify the installation from a command prompt. 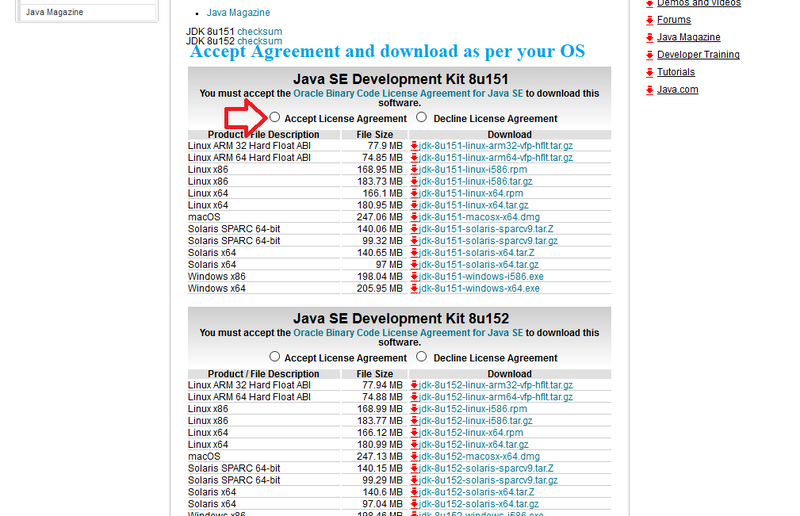 Step 1 – Download and Install Java – Many of you have already installed the JDK in your system if not then you can download JDK from Here. 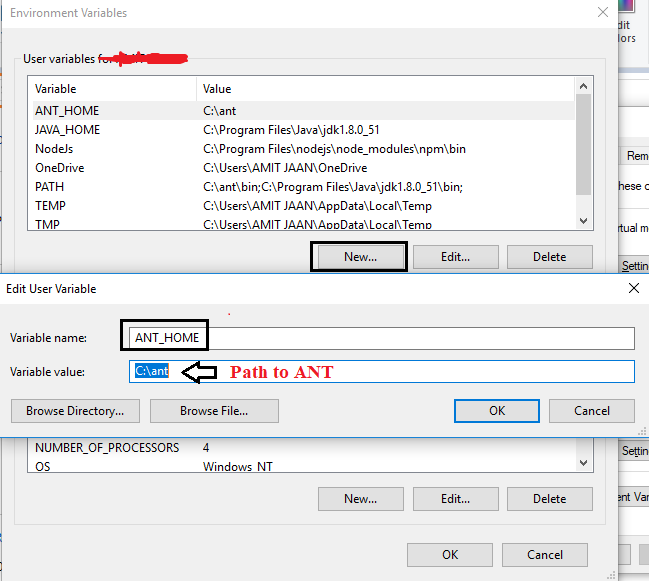 Click New under user variable and enter “ANT_HOME” for variable name and use ant location for variable value for example if you have pasted the ant into c drive then it will look like “C:\ant” click OK. Step 4 – Set the PATH:- Now, we have added the path for Ant and Java. We need to add one more variable name PATH. 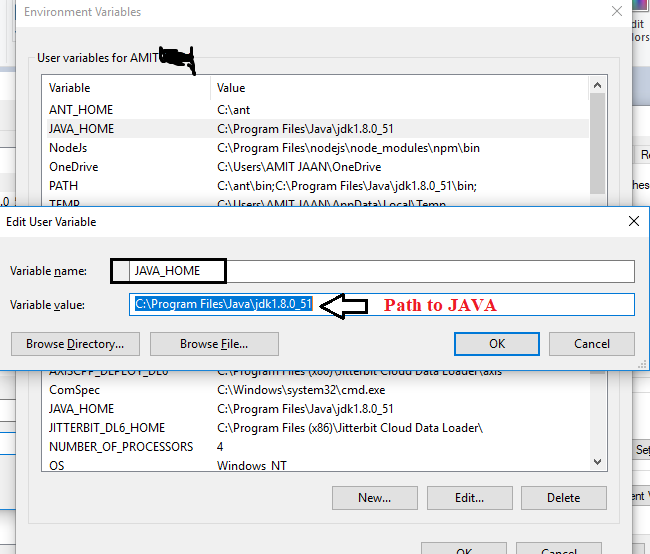 Click New under user variable and enter “PATH” for variable name, use “%ANT_HOME%\bin;%JAVA_HOME%\bin;” for variable value. Now, time to do some testing for the above steps that we have setup until now. Open command prompt and type java -version hit enter, again type javac -version and hit enter. Now, type ant -version and hit enter you see the message like in below image. Note: – If you receive Tools.jar not found error, go to “/Ant/manual/api/org/apache/tools/ant/util/JavaEnvUtils.html” and replace “java.home” with “java_home”. 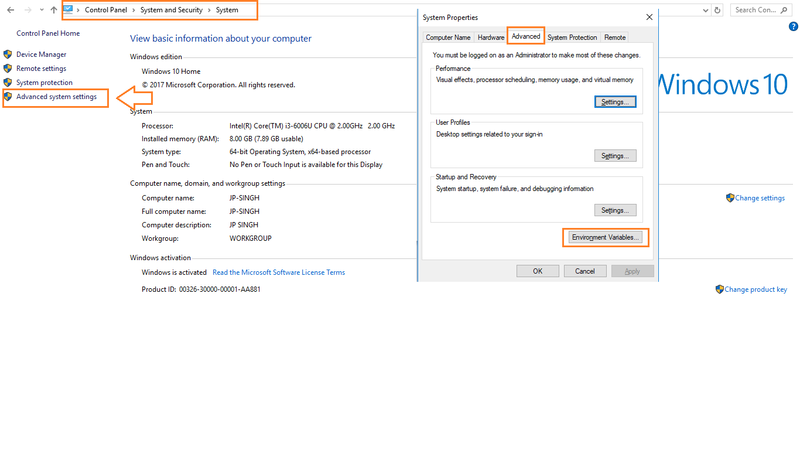 Step 5 – Download Force.com Migration Tool: – In this step you need to download the force.com migration tool and can be downloaded from “Here“. After download unzip the file using 7Zip winrar or any other tool. You will see find a .jar file a html file and a folder name sample. Download the required files from “Here” for the demo purpose. Step 7 – After you downloaded the file from the above link place the file into your suitable location and unzip the file. Now, open build.properties file into any text editor and provide the credentials for the source and target Org then save as using properties extension of the file. 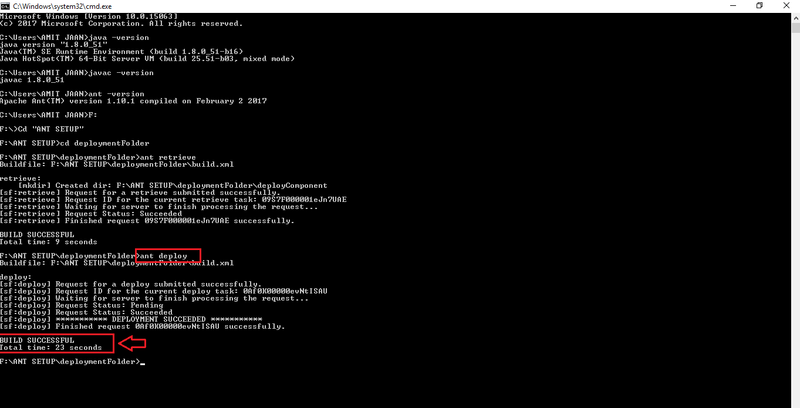 Step 8 – Open command prompt if you have closed this other wise use the same. Navigate to the directory where you have located this folder and then go to deploymentFolder folder. If you have any problem then come up in the comment section with. Hurray, you have setup the ANT with Salesforce for Deployment.